I enjoyed a delicious bowl of vegan overnight oats this morning. 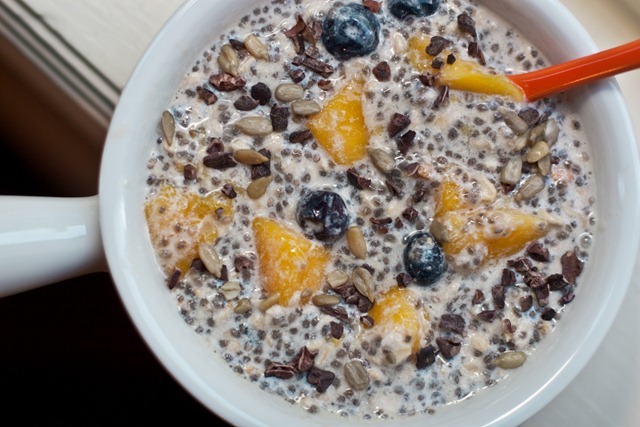 I made this batch heavier on the chia seeds and lighter on the oats just for a fun change. Directions: In a small bowl mix together the oats, chia seeds, almond milk, chopped mango, blueberries and maple syrup. Place in fridge overnight or for at least 1 hour to allow for the seeds and oats to soak up the milk. When you are ready to eat, top with any other desired toppings and serve. Mango in the oats = awesome. Last week, I told you about my upcoming trip to Paris during the 3rd week of September with OSGMOM and my sister Kristi. I said I would talk about how I will eat while in Paris, especially considering that French cuisine is far from vegan. I actually laughed as I typed this last sentence because French cuisine is pretty much the antithesis of vegan eating. It is quite funny to think about. You know what though, I’m cool with that. Just because I eat a vegan diet doesn’t mean that I think everyone should eat like I do. I understand that all cuisines are different and have certain characteristics that define them, and it just so happens that French cuisine has a lot of cheese, cream, butter, pastries, and meat! Technically speaking, I will have no ‘plan’ going to Paris. I think it’s more fun that way. Long gone are the days when I used to worry, stress, or obsess about what I eat. Food is fun in my life and I plan on keeping it that way while in Paris. I will roll with the punches and have a good time with it. My plan is to have fun…AND bring you along for the journey! Like I said, I could come home a coffee-drinking, croissant lovin, bon-bon eating non-vegan. Or I may not come home at all. Do you have any special diet preferences or needs (vegetarian, vegan, gluten-free, sugar-free, wheat-free, nut-free, etc) and have you had to accommodate them while on vacation or away from home? Have you ever had to ‘go hungry’ because of an allergy like gluten or nuts, when there were no options available for you? Luckily I do not have any food allergies (I have been tested for everything), just sensitivities. My doctor thinks I have IBS. Foods like dairy, nuts, and high-fat foods can be problematic for my stomach in large quantities, so I try to be mindful of this when eating. I took a similar attitude when I was in Hungary for a month earlier this summer. They eat a LOT of meat, and I eat very little meat, but I embraced the cuisine and decided not to worry about it. Their meat is different over there (as in, NOT factory farmed) so I felt ok about eating it. 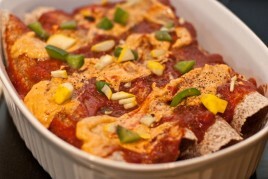 And when I had a choice in what I was eating, I chose vegetarian dishes most of the time. Good for you! Being open on vacation will make it so much more relaxing. Though I was a vegetarian for about 15 years and a vegan for part of that, and still eat about 90% veggie, when I travel I often try local specialties, even if they involve meat. I am a foodie and food opens me up to different cultures. I love it! And when I get home I get right back to my veggie based way of eating and love that too. I think your plan for Paris is GREAT! It will be an awesome experience and I can’t wait to follow along. Good for you! I don’t subscribe to any sort of diet per se, I just try to eat as healthy as I possibly can. But that being said, I do try to limit my dairy and meat. In Paris that is definitely difficult (just was there in April!) but you have the right attitude. Have fun and don’t stress about it. As long as you wont suffer (ie for gluten free people, I empathize!) from what you’re eating, you’ll be fine. You must-must-MUST stop to eat lunch at Le Potager du Marais, 22 rue Rambuteau between rue Beaubourg and rue du Temple. Doesn’t look like much from the street (look for the yellow awning) but oh my, what food. Thanks for the recommendation! My husband is taking me to apris next spring, and–as a vegan–have been wondering if it would be possible to find great vegan food. Now I know! And can’t wait to try it! I’m a vegan by choice, and eating out can be quite a challenge here in meat lovin’ Germany. But I can usually find something–or at least something to hold me over until I get home. It is harder for my sister in law who lives in Colorado and who is allergic to gluten AND dairy. Even if she asks for a gluten and dairy free salad, she will often be served a salad with cheese and croutons on it!! It is really difficult for her to eat out at all, though she does manage to squeeze by…it is not always a pleasant experience. In addition to Le Potager, there is a chain of falafel quick-service restaurants called Maoz. We have them here in the States too in a few areas but there are a couple in Paris; the one I went to was on rue Xavier Privas, on the Left Bank, literally right across the Seine from Notre Dame. Everything’s vegetarian and most of it’s vegan. The best part is how fresh everything is, they make the falafel right in front of you, put it in a pita and let you add any toppings you want from a self-service bar…all sorts of wonderful fresh veg and sauces. They also have frites, but there’s a better frites place across the street; look for the window full of hot frites…eat your sandwich while walking around the city. It’s right down rue St-Jacques or rue St. Michel from the Cluny museum, so that’s a good pairing. Unfortunately, the best vegan-only restaurant in Paris, La Victoire Suprême du Coeur, seems to have closed. QUEL DOMMAGE! Maoz is THE BEST falafel I’ve ever had!! I’m am seriously not kidding. I lived 1/2 block from it when I lived in Paris and made (too) frequent stops there. I hope you’ll enjoy your trip to Paris…I’m french but moved to canada when I was 9, and I admit that french cuisine isn’t the most vegetarian in the world! But everything is really good and portions are smaller…us french eat smaller portions, but more items…we have an small appetizers, a main course, bread, cheese, salad and dessert…but its in small portions…so people aren’t really overweight…You really should try some macaron at “La durée” or enjoy a meal at “Chez Paul”…. I’ve been vegan-ish in France a few times. It was hard, but slightly do-able. I would try to eat as vegan as possible, but if something happened I didn’t make a big deal about it. I am not trying to justify eating non-vegan items, but EU is a lot stricter with food policy than the US is (not sure about Canada). So that made me feel a little better. And there are fresh markets everywhere, so it was easy just to grab some fruit, veggies and bread! You have such a great attitude. I had an open mentality when traveling to Italy. There were so many fresh fruits, vegetables, and bread that eating it was easier than some parts of the US. And I am not one to complain about much when I am where wine is cheaper than water. I can’t wait to read along about your journey to Paris! Good attitude on the food. I would love to go to France just to eat! I am gluten, dairy, yeast and sugar free and I want to go to Paris so bad. I am really not sure what I will do if I ever get the chance to go. None of my intolerances are life threatening but eating those things do cause me to have a lot of physical pain to the point that I can’t even walk. (Fibromyalgia) And i don’t think I would enjoy Paris if I were so sick that I couldn’t walk around. I guess I would have to do a ton of research or eat a lot of salad. Christie — I’m in the same sort of boat. Diary, sugar and meat trigger flares in my Rheumatoid Arthritis. So I have to be very careful what I eat. I’d hate to go and be stuck sitting down or doing the “shuffle walk.” No fun for anyone. The shuffle walk. I know all about that! Guys, Paris is such a wonderful place, even if eating in restaurants is out of the question, you could still have a great time! Good food is great, but there’s many more things that make a trip memorable. My food intolerance are much milder than yours, but I’ve come to accept if I want to have a good holiday I do plenty of research before I go, I usually stay somewhere where I can do my own cooking and use the fresh local produce or I just buy very simple food and eat grazey type food like fruit, dried fruit and nuts/seeds. Oh wow, didn’t know you were going, have a wonderful time! I have trouble with dairy, though it won’t KILL me. So, I occasionally eat some in moderation. The only time I had trouble was my WEDDING. They changed what had previously been a vegan pasta with veggies to having a cream sauce without consulting us after the tasting! This meant that the bride, and the father of the bride (holder of the check book) were not going to be able to eat. Oh did my father let loose and give someone an earful. Everything else was perfect, and they made separate dishes for the two of us, but, obviously, it was delayed. Everything is bon:) Just keep telling yourself that. The views, the people, not being in the US – that’s vegan certified. Turns out it’s kind of hard to eat vegetarian in Japan because they’re so big on fish. I was fine, I lived, just a little lack of protein for a week. It’s so great that you’re going in with such an open-minded attitude– I think that’s the way to really ENJOY travel! When we were in Europe this summer (Italy and Croatia), I (a vegetarian) ate fish a few times…and I’m so glad I did! I would have been disappointed to have gone all the way to Croatia to not eat anyu of the local specialties (which are all seafood, basically!). Sometimes when you travel, you have to let go of your “rules” and just enjoy the place you’re in! AMEN to this!! In a perfect world, there would always be delicious vegan options available, but that’s not reality. I eat vegan when it’s possible, and vegetarian when it’s not. The French love their veggies- I’m sure you’ll have no trouble finding meat-free options!! I can’t wait to hear about your trip next month! Good for you! I think you’re trip will be a lot of fun if you don’t have to worry whether or not there’s some dairy sneaking into your food. :) And French food is supposed to be amazing so if you’re gonna splurge- France is probably a great place to do so. I think you’ve got a great attitude about the whole thing! I’ve been a vegetarian forever and a vegan for just over a year, but I think that food is a big part of experiencing the culture that you are visiting. Of course, I’m not advocating foie gras or anything like that, but enjoying Paris and the time with your family is so much more important than freaking out over a little milk chocolate. I can’t wait to read all about your trip. I must say, your attitude is amazing and so well balanced. What a role model you are for people suffering from disordered eating. I hope your message reaches many people. I would probably temporarily forsake some of my regular eating habits while away in Paris too! I don’t eat cheese due to a mild lactose intolerance but if sitting on a patio with a fresh baguette and some wine you better believe I would indulge in some delicious brie! Enjoy your trip for everything it has to offer, including some of the most wonderful cuisine in the world!! I can’t justify setting aside my morals when I travel, which can definitely present challenges, but doesn’t hinder my joy of traveling at all. I am vegan and have some food allergies. I have been in Paris a few times and, while going to restaurants was tricky, being vegan in general was not. During my last visit, we bought baguettes, marmalade, wine and raw fruits and veggies at the markets. It was wonderful! We ate good food and met many farmers and bakers, bringing us closer to the local culture, rather than preventing us from enjoying it. All cultures have local specialities that are accidentally vegan or vegetarian and great vegetable dishes are never hard to find. I have traveled a lot and have never felt like I was inhibited or like I was not experiencing the culture, even in meat-centric Eastern Europe. Just remember that, at least in Europe, war, and poverty before it, prevented meat from being a common food at home for many years, which means that meat-free dishes were common and many have become cultural staples. I understand why people who are vegan for health reasons might choose to abstain from veganism for traveling, but I don’t see why those who are vegan for animal rights or environmental reasons should do so. Animals can suffer no matter where in the world they are. And the environment will always be impacted by animal agriculture, even if it is to a lesser extent. Great comment :) My thoughts and experiences are similar to your own. Rather than my diet (vegan) being inhibiting or restricting, I’ve found that it spurs my creativity and desire to explore the culture and region I’m in. I actually love this approach. I too would be completely satisfied eating fresh produce, baked breads and sipping on locally made wines. Sounds heavenly! I feel bewildered when people say such things. I have chickens in my backyard. They’re free ranging. They get best organic spinach from my garden and all kind of healthy organic treats from my kitchen. They run to me when I come out of the house in exitement because they know I’m there to protect not to hurt. And I don’t beleive my chickens harm environment. I refuse to eat meat or fish because they feel pain when killed. But I drink the milk that I buy from the farmer because I know she treats her cow the way I treat my chickens. And if I was on the place of my chicken, I would not mind sharing an egg. Sorry, it’s a bit out of travelling topic, I just think if you are being responsible in what you eat, it’s OK not to go to extreme “no-no”. Some people in India (where my husband was born) would not eat a tomato because it reminds them a colour of blood. I wanted to respond so that you’re not so bewildered (or maybe you’ll be more bewildered). The way you are treating your chickens, essentially as pets, sounds fantastic, but that is by no means the norm. I was referring to animal rearing with the intention of making a profit on their product. This would require a greater number of animals who wouldn’t be likely to get this personal treatment. The suffering can happen in a number of ways – when the animal is killed, by the living standards of the animal, or when the animal is treated unnaturally (forced impregnation and overlong milking for dairy, for example, and where do the babies go?). Suffering doesn’t just have to be physical, it can simply be emotional. As for the environment – having a large number of animals on one plot of land hurts that land, not to mention the amount of resources a single animal requires is not ecological. It takes 16 lbs of grain to produce 1lb of flesh. Think of how many more people that plot of land could feed if it were used to grow grains, beans or vegetables. I hope that clears up your confusion a little. Like I said, I wasn’t referring to the way you are raising your chickens, but odds are when one buys an animal product, he/she is buying from a place that is guilty of at least one of these things. I agree, these people in these comments are plant based not vegan!!! Veganism is a way of living which seeks to exclude, as far as is possible and practicable, all forms of exploitation of, and cruelty to, animals for food, clothing or any other purpose. I found out last summer that being a vegetarian in Japan is hard! You would think they would have lots of tofu dishes, but they don’t. Most of their food is seafood-based, so all I could eat was pretty much noodles with some veggies, or rice with veggies. It was sooo hard to stay satiated when my meals severely lack protein! That sounds like a wonderful attitude for traveling- food is such a cultural thing, so it’s always good to be open to experimenting a little… “When in Rome” (or Paris, in your case…heh) I’ve thought about this topic a lot because I love to travel, and I totally think it’s alright to stretch the boundaries of one’s usual dietary consumption in order to really experience a destination’s culture. 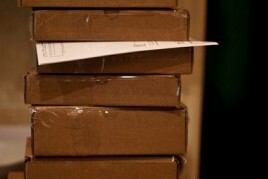 So exciting, I can’t wait to see pictures and read about your travels! I pretty much eat anything. I love your philosophy for this trip to Paris. You have a good way of thinking of how you eat. I feel that sometimes people with eating restrictions get too serious about it. Enjoy yourself in Paris! I’m looking forward to reading it!! If you’re going to be spending time in cities, I bet you’ll be pleasantly surprised at the veggie options you’ll stumble across. Try www.happycow.net for some tips. :) I found a raw vegan restaurant in Bangkok that was to die for! One warning- when’s the last time you had dairy? I’ve been vegan so long, I’m pretty much lactose intolerant and I feel pain when I accidentally eat something made with milk. I hope the same is not true for all vegans! I’ve been a vegetarian since May ’10 and I’ve kind of been struggling with some internal turmoil lately because I am having a hard time in defining what my diet means to me. Well, actually, I do have an idea of what it means to me, it’s trying to make other people understand thats hard. Becoming a veggie head for me was more so for personal and health reasons as oppose to ethical reasons – I love my leather jacket and the occasional fur hat on a freezing day, whatev right? haha. However, I feel as if people are constantly reminding me of my chosen diet and watching me and it makes me feel more obligated to stick with it and maintain my veggie identity, even when sometimes I don’t want to. I can have the tiniest taste of turkey if I want it and it doesn’t mean that months of healthy decisions will go down the drain, right? I can eat the whole damn platter if I want to, but I feel as if I have somehow become this healthy example to my diabetic-obese-not-so healthy family, I don’t want to disappoint them you know? I know my battle is obviously more with myself and my family isn’t to blame, I guess I just feel alone sometimes in my real life because theres no one outside of the blog world that understands how I feel. Anywho, I did have another point to touch on, haha. Just this past weekend I celebrated my 25th birthday and my hubby surprised me with a weekend on the Island (PEI). We packed our own breakfast food and some veggies for me, however, maybe half of that food was eaten. We ate out a lot because there is nothing more fun than eating out at new places when on vacation. After a long and amazing Saturday we ended up having a super late supper at the Gahan Restaurant and Brewery. We had just finished sitting through 2 hours of the Anne of Green Gables musical and were starving. I was hangry and the menu looked amazing and the prices were awesome. Because of this, I sat there struggling with what I should eat and what I wanted to eat. What did I order? The GAHAN BURGER. I felt so bad when I placed the order and but when I thought about it somemore and realized that my husband sat there and had no judgement towards me, I immediately felt so foolish. We had the most amazing day EVER and here I am about to ruin it with my mood over ordering a burger. I had to laugh at myself, looking alittle crazy of course, but the remaining of the evening was even better. This place brewed the most amazing beer and this burger was seriously a religious experience, I felt so Eat Pray Love, haha. It was weird actually, I couldn’t even remember the taste of beef, so it was literally like eating a burger for the first time. Ordering that burger made the whole vacation for me because I realized that I can’t let food dictate my life – I chose what I want to put in my body, not some diet. And just because I ate a burger this weekend, I don’t feel any less of a vegetarian than I did last weekend. Eat as much chocolate as you want. Seriously, how can you not go to Paris and not give yourself up to the whole indulgent experience? That’s like going to Italy and eating salads the whole time? Channel your inner EPL and have a love affair with your food. I have Celiac Disease, so I’m on a lifelong gluten-free diet (and I’m vegetarian). On trips, I’ve been lucky, because it’s easier to be gluten free now than when my sister was first diagnosed. Growing up, whenever my family went on vacation, we would always go grocery shopping, rather than eating all our meals out. So on my last trip, to San Francisco, my friend (who is highly allergic to dairy and nuts) and I went to Whole Foods the first day we arrived. We’re a fun group to go out with, haha. Even regular grocery stores have the main food I eat – I don’t buy gluten-free baked goods too often, because they are quite expensive. Having a love of vegetables is a plus. Going out to eat is slightly harder. Luckily, main restaurants (like the ever so chic Outback Steakhouse) have gluten-free menus. But I have to make sure if salads – which I usually get – are mixed in their own bowl or tossed in a general one. At Outback, for example, they specific to ask it to be without croutons and tossed in a separate bowl. And you have to be sure the dressing you order doesn’t contain gluten. If I’m ever unsure of dressing, I stick with oil and vinegar. Another unsure food item I may order: the only fried thing that wouldn’t be breaded is french fries, however it is VERY VERY VERY RARE that the fries are fried in different oil than the breaded items. Luckily, I’m content to order sides and make them a meal. I also love to look at menus before going to a restaurant, because I can decided what I want to order and what questions I have about it. When I was last out with my coworkers, they were amused on how specific my ordering was. I either go first or last, because it seems to be easier for the waiter to answer questions. Usually last is better, because if the waiter has to ask the chef a question, he can put in all the orders, and come back if there is a problem with mine. I am not shy about asking questions. (And if the waiter has a problem, then they aren’t doing their job well!). I’d much rather be a little annoying or pushy when it comes to my diet, than risk pain and the destruction of my intestines. In big cities, you can easily find gluten-free restaurants (I live in NYC), or gluten-free friendly ones. A lot of the times, they also happen to be vegetarian, vegan, or allergy friendly. I will note that some gluten-free products, like the ones at my favorite restaurant Rissoteria – a gluten free restaurant in the village), uses Animal protein in their gluten-free bread. Since it is hard enough to eat out gluten free, ESPECIALLY bread, I will definitely eat it, regardless of the animal protein. I think if I wasn’t gluten-free, I’d be slightly more picky in my eating habits. My husband and I (both vegan) just got back from Spain, Italy, Greece and Turkey and had a fairly easy time sticking to our diet. There were a few occasions where we realized that dairy had been included in the meal, but like you Angela, we decided not to obsess about it. I found that doing a bit of research in advance on happycow.net was helpful and often the restaurants were slightly off the beaten path, so it was a great opportunity to see different neighbourhoods and meet locals. I think the best surprise was finding that a lot of the restaurants focused on creating their local cuisine veggie-style :) Have a great time!! –> Do you have something without meat, milk, or butter? I’m a vegan, thank you!” And now you’re all set and ready to go. I’m so excited for your trip pretty girl! I can’t wait to read all about it and melt into a puddle of pure envy. I’ve never been to Paris, so enjoy it for us both!! Hahahaha. I love your attitude about enjoying food and making it a fun part of your life! My husband and I recently returned from our honeymoon in Italy. As someone who eats vegan about 70% of the time and vegetarian about 30% of the time, I began the trip a bit concerned about the food issue, but to my delight, it wasn’t a problem at all. I enjoyed delicious pastas with marinara sauce, zucchini blossoms, eggplant parmigiana, sauteed veggies, fresh tomatoes sprinkled with sea salt, stuffed peppers, mixed olives, and more bread and olive oil than I’d care to admit. Much of it wasn’t vegan, but I had no problem sticking to vegetarianism. And you know what? It felt good to just go with the flow. It’s vacation after all. Who wants to spend it obsessing about what’s in your food? (The exception being if you have an allergy or other health concern.) So, bon apetit! Hi Angela! I am a life-long vegetarian and lived in Paris for six months. Luckily vegetarianism is becoming slightly more common in France, but you can still expect a few irritated waiters. I’m not sure if anyone recommended this restaurant yet, but Le Grenier de Notre Dame (right near the Cathedral) is amazing, with lots of vegetarian and vegan options. 2 summers ago I traveled to Israel for 2 weeks and was a strict vegetarian at the time. You’d think this wouldn’t be that hard in the land of hummus, pits, falafel, cucumber salad and so on, But I was with a group where meals were provided most of the time and a bowl of hummus with cucumber salad, everyday, 2-3 times a day can get very old very fast. I went most days just eating cucumber on bread….not good. I always have emergency protein bars with me now no matter what. I don’t have any food allergies, thank goodness (me and gluten=buddies), but early on in my weight loss I’d lose my mind worrying about other people cooking for me, especially if I was there longer than one meal! My husband’s family eats eggs (with butter), bacon, and biscuits (with crisco) every morning, and they eat some sort of red meat for lunch and dinner. We might get a vegetable with dinner (and it will probably be fried), but rarely for lunch. And there is no fruit in the house. There is no variation, and they don’t do special orders. So when I visited them one weekend about a month after I began Weight Watchers, I definitely felt like I had to starve, because all my points for the day disappeared with breakfast! Thankfully, now I don’t worry about a change in eating when I’m out of town, because I always come home and correct any damage without too much effort. I am one of your new readers. I am French born and raised in Paris but I live in Washington DC. Anyway, I was reading your post this morning and I had a thought about a place I used to love when I was younger that would be perfect for a vegan. It is called Le Paradis du Fruit (the paradise of Fruit http://www.leparadisdufruit.fr/. It is delicious!!! The cool thing is they have different locations so you should not have to get out of your way to find one. There is one next to Notre Dame de Paris, another one next To the Champs Elysees , another one next to La gare de Montparnasse at the metro Edgar Quinet and the last one I remember is outside the Halles, next to the rue de Rivoli. It is not a restaurant intended for vegan I believe, but I think it would fit perfectly your vegan diet. I am a vegan : Je suis végétalienne. I;m a vegetarian, but I am pretty good at accommodating for myself when I go places. People always worry about me finding something to eat and I just tell them that when you don’t eat everything, you become really good at finding something anywhere. I am so jealous you are going to Paris! Do you drink wine? I can only imagine how wonderful the wine is over there. As I am French, I’m sure I would have no problems adapting to the cuisine there, but like you, I have a mild case od IBS. I would definitely have to cut back on the dairy and what not, which is tough in a country like France. It is doable though! Luckily, I don’t have any allergies to food but my 5 year old is slightly lactose intolerant and does better with lactose free milk….we drink raw milk here at home from our dairy and he’s great with that, so his slight allergy sometimes poses a problem on vacation, especially when we’re speaking of ice cream. I really love that you’re not stressing out about what you’ll eat. Part of experiencing Paris and France and Europe and other cultures in general is trying their food. I think if I restricted myself during vacations I wouldn’t get the full experience and that’d make me sad. I eat healthy and a certain way all the time at home, which frees me up to just enjoy vacations for the week I’m there. When I left to study abroad in Spain I was a vegetarian, but I didn’t have the vocabulary to tell my host parents this on the first day so I ended up eating meat the entire time I was there! The first few days were tough, especially because their diet was so heavy on the pork (they had a leg of Serrano ham sitting on their kitchen table at all times! ), but I’m so glad I went with the flow. My boyfriend stuck to his vegetarianism while studying in France and now regrets it. Still, good luck finding food options you’re comfortable with! It can be tough. I hate to leave two comments, but I was reading other comments and realized something. It seems that it’s all about your attitude. If you’re up for being creative, stepping out of your comfort zone and going down the less-beaten path, traveling as a vegan is easy and fun. But if you’re scared, unwilling to go out of your way, or maybe make a fool of yourself in front of a waiter or at a farmer’s market, it will be difficult and stressful. Just be positive and open-minded. But I suppose that goes for traveling in general if you want to actually explore a place and its culture and not get stuck doing the traditional – read boring – tourist thing. some ares I visit don’t have the food I’m used to….so I just have to adapt as close as I can. i don’t have any special dietary needs, but i try to eat a fairly low-fat diet because of health issues my family has concerning blood pressure, cholesterol, etc. HOWEVER, that being said, i think you have an amazing opportunity and i say do whatever you can to enjoy it. sounds like you have it planned perfectly! Hey Angela, believe it or not vegan-ism is becoming more popular in Paris, well according to Veg News. Anyway here is a list of vegetarian restaurants in Paris. 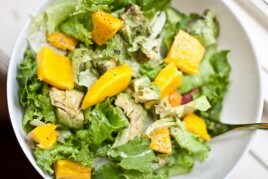 http://veganparis.com/2008/12/13/list-of-vegetarian-restaurants-in-paris/ The blog is also about a vegan who happens to live in Paris. Thought it might help! Have FUN!!!! VOO with mango sounds like such a great idea. I like the idea of putting in extra chia seeds to change things up a bit as well. I have yet to try making my own VOO, but I will be soon! I can’t wait to hear about how everything goes in Paris! I travel a lot and my number one rule is: Go with the flow. That doesn’t mean eating meat if you’re a vegetarian or dairy if you’re a vegan, but it means taking a more laid-back approach. Trying something new. Not bringing your own snacks from home but finding new treats in the new country. Finding out what and where the locals eat, then following suit. This is such a positive attitude to have! I have no dietary restrictions or allergies, but in general, my diet is healthy. Sometimes on vacation, the people I’m with want to stop at diners or fast food joints. Usually they are off-limits (I just don’t like their food), but I find a way to compromise and get something relatively healthy. It’s about ignoring that little demon in your head saying, “You can’t eat it”, lettting go and just enjoying yourself. Very excited about your trip! I’m also admiring you’re attitude! I was in Paris last autumn, and little salad/juice bars seemed to be quite the trend over there already then, so for sure you’ll find plenty of stuff suitable for a vegan. I’m still dreaming of the green juice & pineapple/mint smoothie I had in one place, though I’m an omnivore so I also had my fair share of cheese & croissants (and loved every bite)! The traditional bistros always have lovely salads, they usually include some kind of cheese/meat, but I guess that can be easily removed, and dressings are normally divine vinaigrettes which shouldn’t be a problem. As I think someone mentioned, there are plenty of delicious fruits & vegetables available in the (super)markets, if you like e.g. figs you’re in luck! Oh and herbal tea is served in every cafe/restaurant, it’s called “infusion”. And of course you can always get a big mug of green tea at Starbucks haha. If you do decide to cave to the non-vegan culinary delights of Paris, may I recommend une salade au chevre chaud sans lardon?! (Hot goat cheese salad WITHOUT bacon) This was probably my favorite dish in Paris last year – salad with the classic mustardy vinaigrette, with yummy French bread that had goat cheese melted on it… SO good. Usually comes with bacon though, so don’t forget to say “sans lardon”! I don’t have any allergies, but I am vegan. However, like you, I was non-vegan for 25 years so when I go on vacation I enjoy myself and not worry about diet restrictions. I find it easy to continue to eat meat-free while on vacation, but sometimes, it’s hard to avoid dairy in sauces, or cheese on a dish. I don’t let it bother me to much because I want to enjoy wherever I am and not worry or stress about what I’m going to eat. I just went to South Carolina and I used to eat a lot of seafood. The stuff down there is used to be what I waited all year for, so while there this year, I did let myself have crab legs…..and I have to say…..they were sooo good. enjoy planning your trip, angela! that is half the fun! i love your open-mind attitude regarding the treats you will find in paris. just enjoyed my first bowl of VOO – the pumpkin pie version you posted the other day! i loved it! I have been to Paris as a vegan and it is doable. The trick to traveling in Europe is to find the nearest grocery store and stock up on snacks. Paris had Champion – and it is always fun to shop and see what they stock! So, coincidence… I spent a semester in Paris… and I am allergic to dairy products/was a vegetarian. People said it would be impossible for me to survive. ha! It was delicious. I ended up being extremely creative and the food and produce was so tasty and fresh… BEST PLACE TO BE A VEGAN. Sorry, I got excited about your post! I went to Mexico for a 2 week study abroad type thing in the summer of 08, where I stayed with a host family. I was told that being a vegetarian would be no problem before going and discussed it with my host mother when I got there. Good lord… she made some of the worst Mexican food! For dinner one night she made me boiled broccoli and boiled white rice. Another was chicken soup, which I was told I could take the chicken out of. I ended up eating out most of the time (the restaurants served delicious food, and I could always find at least a quesadilla!) and I also would go to the nearby market and buy almonds for a much needed source of protein. I also ate a lot of dairy, which I avoid generally but I expected that would be the case when I left. Funny you asked this question today. I’m newly gluten-free and I’m finding that the attitudes between different restaurants is amazing. Some are very accommodating, and some aren’t — once a waiter said to me, “Oh, you’re doing the gluten thing?” (The “gluten thing”?????) But in other places, they make it a point to clean off the grill before they cook your food. I was in San Francisco last month and eating gf was no problem at all. I’m headed up to a dinky town in northern Michigan this weekend and I am bringing about 15 Larabars as insurance. =D It just depends. Although, I find that although small restaurants don’t have a gf menu, they’re less likely to use processed foods that would have gluten, and vice versa for chain restaurants. Win some, lose some. I lived in Spain 11 years ago and was a vegetarian at the time, and somehow I still had a wonderful time even without the jamon serrano. (I gained 10 pounds in four months and enjoyed every single pound!!!) You’ll have a blast in Paris. Just take lots of pictures so we can live vicariously through you, ok? I, myself, don’t have any food sensitivities but the husband does. He is allergic to milk. There have been many times where options have been limited for him. (And also many occasions of restaurants not getting his order right and adding cheese or a cream sauce to his plate.) He usually doesn’t have to go hungry because we plan ahead knowing that most people probably are not. If we are going to a pot luck event, I always bring something that is dairy-free so that we know he’ll at least have one thing to eat. you must MUST MUSTMUSTMUST go to the jewish quarter (north of ile st. louis). There is a street restaurant called “Chez Hanna” and they have the best falafel pitas in the world. They are completely vegan, packed with protein, veggies, and the sauce on top is a liquid tahini mix. We took them up the next street and enjoyed them in the park. I was fortunate to be staying on the ile st. louis, home of berthillon ice cream. id never tried this before my second trip to paris but am now in love. mostly because they have sorbets and glace but the sorbets are not made with milk. Cacao Amer Sorbet? yes please. best chocolate vegan dessert in my life. There is a bakery on the same street, a little further east, (i dont remember the name….) but they have amazing olive fougasse. perfect for picnics on le seine, snack while walking around, or a base for a sandwich. I know its not vegan but neither am I completely yet, just experimental, so when offered the opportunity to have a souffle night, I decided to go for it. Afterall, my meal there was vegetarian if not vegan. North west of the louvre is a restaurant called Le Souffle. I am not kidding. It was amazing. I had tomato-basil souffle and split a dark chocolate souffle with the table for dessert. I couldnt finish my bite of the latter because i was so full, but they were amazing– definitely something I’m glad I tried in my lifetime. There are little farmers markets around town, usually on the weekends, which are great for veggies, olives, and fermented beans. And (sorry i dont remember the name but if youre in the area…) on rue st. germaine there is a greek food shop on the south side with great taboleh and amazing seasoned almonds. hope at least something from here helps and if you want to know more, feel free to let me know. I second the recommendation of Musee D’Orsay. Amazing! I also loved the Jewish Quarter. And Notre Dame…. if you haven’t seen the movie “Amelie” then you should before you go. There are great scenes from places like Notre Dame. I love the travel, but since becoming gluten and dairy-free, and the vegan, we generally rent condos or cottages and haven’t gone too far. I hope to return to Europe someday, but even on weekends away i find i spend so much time looking for my next meal. I can be flexible on the veganism (although can’t imagine forcing down meat) but would be very fatigued and maybe sick to my tummy if I ate gluten or dairy. But awareness of food allergies is improving all the time, so I am optimistic! That’s a great attitude! I’ve wasted enough vacations worrying about food. Now, I have no absolutes in my diet and no rules to follow so I can do and eat whatever the heck I want. I eat vegetarian 95% of the time, but when I want something else, I can have it. It’s so nice to have a middle ground. Hey,Jassy.Just to let you know I’m Canadian and don’t speak a word of French or understand a word.Nor do any of my friends,family or co-workers.I am English all the way and very proud. You just have the right attitude! Let things happen, don’t make any strict plans if you don’t have to – espesially in an unfamiliar environment and a different country. And if you come back loving croissants, so what. I always have food that I love in different country but don’t eat at home just because it doesn’t “fit” into my usual diet or you can not get anything authentic at home. You will LOVE LOVE LOVE Paris!!!!! It’s such a beautiful city. I’ve been there twice now and would visit it again. 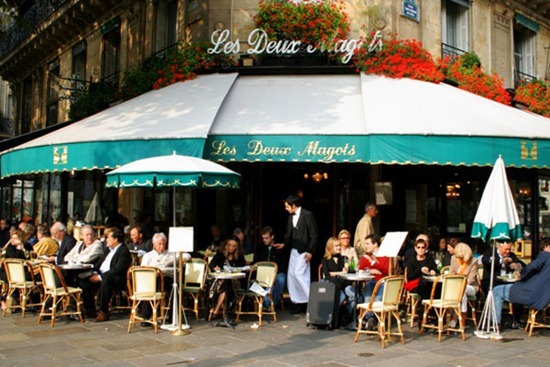 Make sure to have enough time to be “French” – meaning: sitting in a café all day long watching people and drinking wine or wandering around the city exploring all those nice corners, little side allays and parks. paris will be so amazing, i’d love to go there someday. i hope you have an awesome time! i think it’s a great idea to just have fun and not make any strict plans for yourself. i do hope though that they have some good options for you. That sounds like the perfect plan of action – to not really have one! Sometimes it’s better just to embrace the culture, and not be so caught up in sticking to the routine – in order to fully enjoy the experience:) Either way, you’re going to have SO much fun!!! I am not vegan but I am vegetarian and have had no trouble while traveling. As long as you are willing to accept a lack of variety, things seem to work out. I traveled to Costa Rica and to Africa where my food was provided for me and did not have any problem. Even meat based cultures like France have lots of side dishes. 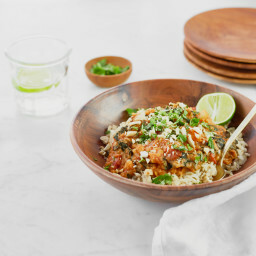 As long as you don’t stress totally over the preparation methods and recognize that there are no guarantees of the food being 100% meat free, you will be fine. After all, the goal is to eat healthy and enjoy life, not to worry about each molecule of foo. I think your approach is perfect! I wish all people could approach vacations and times they are out of their comfort zone the same way. It enables you to live in the moment and experience things more fully. You are going to have so much fun! I think you’ve a great attitude to eating in France! I haven’t done a lot of travelling since I went veggie but I’ve only been consciously vegan since Jan (before that I didn’t eat much dairy anyway) so I know I would be similar if I went abroad. I’m so used to eating vegan now it’s no issue, but if I am at a wedding etc I’m not going to kick up a fuss if the dish has cheese in it (as it invariably will). I think, like you, when I go travelling I will do my best to get vegan food but not waste my time worrying. I don’t think it’s so hard to get veggie food but vegan food can be a little harder when there’s a language barrier. I’m going to Edinburgh next week so can’t wait to see what vegan treats are in store – I know they have a vegan baked potato café there?! I respect this approach, but everyone has different priorities when they travel. You do have to seek out vegan and vegetarian meals in many foreign countries. There’s a real pleasure in sitting down at a restaurant, and saying to waiter, “I want whatever is your house specialty” without asking to make modifications. I find more pleasure in knowing that my food choices don’t involve eating animals or animal products. :-) I look forward to following Angela’s trip and vegan food in Paris. Have a great trip Angela! Also! There are some FINE VEGAN CUISINE RESTAURANTS in Paris. When I was there for a semester I looked at this website: http://veganparis.com/ and I highly recommend Saveurs Végéthalles: http://saveursvegethalles.fr/ DELICIOUS! I thankfully don’t have any allergies, just sensitivities. Canned foods, yogurt, grapes and some cheese. White bread also makes my blood sugar go crazy. I try to ask for whole grain bread if it is possible. I’ve always been the coffee-drinking bon bon eating type. The funniest thing in Paris was the cafes’ reluctance to serve me espresso. They couldn’t believe that the small blonde Canadian wanted the strong stuff – so concerned that I didn’t understand what I was ordering! Luckily, I don’t have any food allergies either, but I get frustrated when there isn’t a lot of fresh produce available. I find that my body feels at its worst when I eat really sweet or refined-sugar foods, so I do my best to avoid those at all costs. I think it is important to try new things when you’re on holiday though, so I like your ‘no-plan plan’! They have a whole website dedicated to be a vegetarian in paris! How exciting. First of all, I am totally envious that you are heading to Paris in September! So wish I could do that right now! As far as having to accommodate my eating while travelling, I’m a flexitarian and so rarely eat meat but will eat it on occasion. I did notice, though, that on my recent honeymoon, the hubby and I ate a ton more meat than we usually do. But no big deal – we just enjoyed it! I can’t wait to hear about your trip! Oooh! Paris!! Lucky! I would love to go to the French countryside someday and go winetasting. I went to Paris in January, and really, I gave up all my food boundaries, which were pretty stupid. I enjoyed crepes, croissants, macaroons, and all was worth it. I’m now on a reeeeeallly long vacation in Switzerland, and having the same approach. Life is too short to allow ourselves yummy foods. – baguettes! buy fresh bread (nothing better!!) and eat with jam or nutella (regular nut butters are scarce over there), hummus, cheese + fresh veggies. I 100% embrace your approach on this. My husband and I are vegetarians, but when we travel, we are flexible. For me, culture is food, and food is culture, so it’s impossible for me to imagine traveling places and not eating the food. I’ll be in France next week, and plan to eat ALL of the regional delicacies, including duck! Also, someone said it above, but L’Au du Falafel in Paris is where it’s at. Honestly, so so delicious, and it is very vegan friendly. Not open on Fri nights/Sat because of the Sabbath, but GO GO GO. I’ve spent a lot of time in Paris and will be back again next week (as I said above) so if you want any suggestions or recommendations, let me know. My stomach doesn’t approve of dairy in large doses. It also doesn’t like oils (like olive oil), but in very, very small doses it is fine. I don’t eat meat and that was sometimes a problem. I have had to spend time picking meat out of dishes so that I could eat something. It usually tasted awful (I don’t eat meat because I find it disgusting), but hunger always won out. I have life threatening allergies to shellfish; peanuts; treenuts, nut extracts & oils; coconut; lentils; latex……Since my allergies are caused by an autoimune disease, I can also be allergic to other items that mimic the ones above. I have a medic alert bracelet & card and I also made up an index card with all my allergies on one side and my medications on the other. It also states that I carry an epi-pen auto injector. The card is laminated so I give it to the server to bring to the chef. I traveled to Europe this past Spring (Baltic Cruise; Russia, Estonia, Germany, Denmark, Sweden, Finland, England), and before I left I went on the computer and translated my allergies into each language. I did not experience any problems. The one thing that amazes me in the USA (my home) is that French fries are fried in the same oil as shellfish/chicken/etc., or that items are fried in peanut oil. This makes it almost impossible to ever indulge in fried food. At home I roast many vegs with EVOO, garlic, s & p and rosemary. Healthier and much better tasting than fried food any day. I love your recipes, and do make smoothies but have yet to put in greens. Maybe some day. It wasn’t a diet preference per-se, but when I went to Spain and Portugal in my Sophomore year of college, I was a very picky eater. I didn’t do fish or sea-creatures of any kind, I wasn’t adventurous at all. Food wasn’t an important part of the experience for me, plus I was really cheap. The end result was that I ate ham and cheese sandwiches for breakfast, lunch and dinner for two weeks. No joke. It didn’t bother me one bit at the time but I could really kick myself now. I have the same stomach problems as you do, where dairy, meat, and gluten really mess up my system. This hasn’t caused a dent in my travel eating plans at all! You can always get salads anywhere! For breakfasts I would also choose fresh fruits, nuts if available, coffee, and the odd (small) treat like a biscotti. If I’m really desparate, an egg to hold me over. After that I basically nibble…antipasto platters are great (although they have cheese, but some aged, hard cheeses don’t have lactose!!! ), grilled veggies, etc. *oh and if you’re ever down in Central or South America…rice and beans and salsa and mangos!! I could live down there NO PROBLEM. Haha funny actually cause yep I was vegan when I went to NYC and welp I didn’t really eat much else besides puffins, peanut butter and chinese take out veggies. I was hungry but too busy to care. I was also younger and not as wise at that time. new york city? it’s so easy to be vegan in new york! 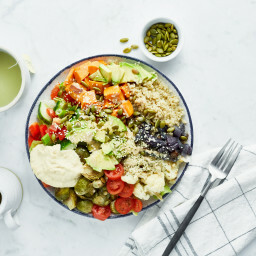 I haven’t read the comments yet so I’m not sure if someone else had mentioned it, but there is a site, VeganParis.com, and it’s got a list of a bunch of vegan friendly places/options/etc! A friend sent it to me a while back. I hear Paris has great falafel! I’m gluten intolerant and I have a sensitivity to soy, on top of being a vegan, which makes it really hard to eat out while traveling. I’m pretty laid back about it, especially the soy thing (I eat tofu like 2x a week still, haha), because it’s just too restricting. It seems like there are a lot more gluten-free options popping up at restaurants around here, even at local chain pizza places! If I’m traveling and I can’t find anything satisfying and gluten-free, I’ll probably eat it once and a while. I’m actually highly allergic to amaranth flour, so staying away from that is more important to me than staying 100% gluten and soy free. As far as being vegan, I always stick to it! Even if I didn’t want to, it’d be hard because I’m allergic to egg whites too. i am a HUGE fan of the “no plan” plan and i can’t wait to follow along on your trip, it will be amazing! i thought i would try to offer some advice – i’ve been to paris once, france twice, and europe several times, and i might warn you that the parisians in particular are not, erm, exactly big fans of Americans. they usually laugh or mock when you try to speak french to them, if they don’t ignore you alltogether. asking for something specific on a menu, while they may be used to it with the massive amounts of other american tourists you KNOW they’ve met, may not go over so well with the waiter. of course, i don’t mean to generalize an entire huge city of people and you will still have an absolutely wonderful experience and meet a lot of wonderful, nice people as well, but I just thought I would put it out there that there may be some, um, unforeseen difficulties. Making your no-plan plan a GREAT idea!! can’t wait to see all that beautiful french food!!! My husband has chrons and must follow a strict diet. My tip is to pack plenty of snacks you can eat in cade you get in a bind where you have no other healthy options. Good for you! I hope you have a fun and worry-free trip. I can’t wait to follow along with you! I’m actually VERY strict about eating vegan. I chose to eat this way for several reasons and I’m not willing to compromise at all. I would rather go hungry or stick to my Larabars, trail mix, granola stash than to eat something with animal products in it. Ever since I can remember my Mother has been on one diet or another. She always makes exceptions for “special occasions”. This is exactly why she is constantly dieting. Everything is a special occasion whether it’s a vacation or someone’s birthday or whatever. That said, it is your choice what to put into your body. I’ve read more than once that people in Paris aren’t very tolerant of Americans. I’ve also read that most Americans are preceived as rude (whether they are or aren’t I don’t know). So I’m not sure how much help you will get in restaurants. So good luck! I was in Paris just last week and found that my regular vegan diet seemed almost impossible at times. I would go to resturants and they would ask me fish or meat-I was like EEK, oh no! Once I would say vegetarian they would bring me a plate with something covered in cheese, but I needed to eat so I eat. Something I did often was go to the grocery store and get a bag of fruit! You should probbly google some vegan resturants just as a back up plan! Eating out is such a pain sometimes. I have a really sensetive stomach (cheese, oil, grease, etc.) so finding somewhere to eat is hard – and I get really tired of salads. I try not to be picky when I’m with others but having a gut ache the rest of the evening so isn’t worth it. Interesting post! How long are you going to Paris for?? Very exciting. And I love that you are embracing change! How do you feel about writing about your past and being so open on your blog with regards to friends and family who know you? Did you find it …I don’t know…”embarassing” to admit to your previous struggles with food, etc…do they think it’s still a bit of an “obsession” now with your focus on this blog? It’s wonderfully done by the way! And you are beautiful! I usually try to eat one or two of my daily meals that follow more closely to my diet (whole foods, VERY little processed, a little meat’s ok, no dairy), but allow myself to break from my rules a little since it is so hard to eat the way I like when travelling, especially out of the country. I know how my body reacts when it gets food it’s not used to anymore, and even though I’ll end up with a meat dish, I take it easy. Life’s too short to follow strict rules, it’s ok to change it up once in a while as long as you don’t overdo it – I learned that the hard way with many a night of indigestion after eating foods I shouldn’t have! I am so glad to see you wrote about this! On my honeymoon last week, I had difficult choices to make as far as my eating habits were concerned. I currently follow a pretty vegan lifestyle, but I am also gluten and corn intolerant. Most of my vegetarian options at my resort were gluten or corn laden, so I had to bite the bullet and eat seafood for a couple of days. Did it kill me? No. Was my tummy a little unhappy? Yes, but I got over it. It was hard to do, but I didn’t want to starve and let worrying about my restricted diet get in the way of my trip! I think it is awesome that you are taking such a laid back approach to eating while visiting Paris. Being in an unfamiliar place can be intimidating (but also REALLY exciting!) enough without having to think about how difficult it will be to find something vegan to eat. Trying to eat entirely vegan in a place like Paris could create stress in a situation that should be fun and enjoyable. What a wonderful way to approach it Angela! Though I don’t typically eat any dairy products, I admit that a chocolate filled croissant found its way into my stomach. And it was wonderful! Lukcily, I don’t have any allergens that have prevented me from indulging in the cuisine of another land. I’m sure you will have a wonderful time in Paris, even if it’s not entirely vegan! Enjoy!!! I think your plan for Paris is a great one! You are going on my DREAM trip you lucky girl! I cannot wait to get to Paris and experience all that it has to offer..including the food! You are going to have such a great time and I cannot wait to read all about it! i’m a vegan, but i spent a month in buenos aires, argentina. if you don’t know, that’s pretty much the meat capital of the world. it’s basically impossible to find something substantial to eat in most restaurants without meat and/or dairy. so i had to break my veganness for a month and ate my fair share of cheese, ice cream, and butter (and red wine). but let me tell you, i had the time of my life. it’s not about what you’re eating or not eating, it’s about the experiences you have and people you meet! you’re going to have so much fun; enjoy it! You found no vegan food to eat in Buenos Aires so you were forced to eat…. Ice cream? i figured i might as well live it up if i was going to eat cheese anyway. how do i turn down ice cream with my friends after a meal of cheese? sorry, i’m vegan? What a great attitude about vacation. I try to eat whole foods, minimal processing and no dairy. My body works best with those “rules” in mind. But sometimes on vacation you just have to throw the rules out the window for a while and have an ice cream cone! Although there have been plenty of days where I’ve been “hungry” because I didn’t have as much food because of my limitations! As I typed before, I was vegan in France with no problem. The only situation that was tough was when I wanted food outside the hours restaurants were open, but I got by. I think you are missing the opportunity to really educate people that there is no reason to compromise their ethics or health while away from home. I understand you don’t want to “worry” about food, but honestly, you have a much better chance of getting a vegan meal in France than in some places in America or Canada I assume. They love their vegetables. I agree.I find your attitude kind of confusing to say the least.I’m sure you can be a vegan in France.I mean are you a vegan because of your animal beliefs or not?Animals suffer in all countries,it dosen’t stop because your on vacation.I’m sorry but right now I find you to be the biggest hypocrite.I mean why not just call your self a vegetarian,parttime vegan?I have read about many other vegan bloggers not giving up they’re convictions while they are on vacation.And know I’m not a vegan but I also don’t call myself one either. I’ve been reading this blog for awhile and I might be wrong but I think alot of Angela’s living a vegan lifestyle has to do with health/digestive reasons and the fact that being vegan parallels her love for animals is a nice bonus. It’s her prerogative to do what she wants on vacation, either way. I don’t think this is about convictions or being a hypocrite at all. Have fun in Paris. I just got back and we had a great time. It may be hard to do vegan, but it was not hard to do vegetarian. I do eat dairy and eggs, so I found plenty to enjoy while I was there. The one thing that I did not like so much was the insane amount of tourists. I do highly recommend the Museum Pass if you plan to see even a few on the list because you do not have to wait in ticket lines, only security if they have it and if not, you just walk right in. Getting to Versailles was very easy too and on the Pass. 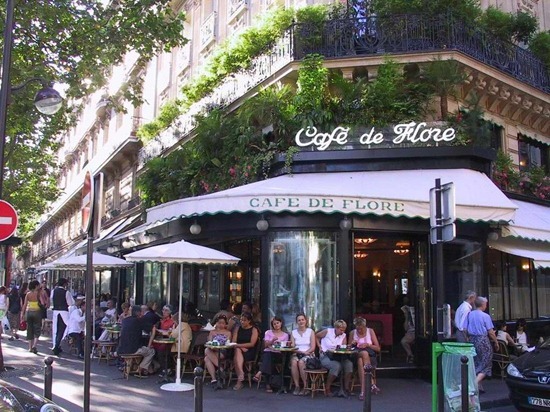 The Cafe de Flore you have posted here is pretty well known, but we went to Cafe Le Flor, which sounds the same and was good, but different from the well known one. There are cafes everywhere so there are tons of places available. If you are curious, you can check out my blog, I was there about 2 weeks ago and blogged about the food and sights. Have a great time. I absolutely agree with the recommendation for Le Potager de Marais! It was out absolute favourite. Good luck! Have a wonderful trip. Way to go Angela, I applaud you in your decision!! Being flexible will help you enjoy every single bit of your trip! I think that the food is a large part of a culture and immersing yourself in the people’s habits is a fun way to learn more about the places you are visiting! I recently went to Italy and it wasn’t easy to find many vegetarian options. There were lots of veggies but mostly they came soaked in oil, plus I was impressed at how much pork products they eat… argh! I did enjoy pasta, risotto, and of course gelato! It was fun, two short weeks that I won’t forget and definitely won’t regret not trying a few things here and there that I would not normally eat. Life is to short for us to try to plan everything. Good for you that you made this decision, I am sure you will enjoy your trip to the most and have tons of fun! Plus I can’t wait for the posts as I have never been to Paris before, it would be cool to join you online during your trip! That is so exciting to think you get to try new foods and expirience a new way of life. I’m sure you will learn alot! I have a pretty severe allergy to peanuts and it is tougher than it sounds to be careful. Most waiters/waitresses don’t know what the foods are cooked in because peanut oil is the sneakiest! I went to Central America a few months ago and the local food was super fresh and good! So many fresh veggies and fruits plus hearty grains. It’s making me hungery just thinking about it! Enjoying the expirience is priceless!! I’ve been interning in Japan for three months and all I can say is a vegan could certainly never make it here!! I have been a vegetarian for 10 years now and it has been super hard to eat here. The Japanese really don’t understand what a vegetarian eats no matter how many times you explain it. They just can’t comprehend. Everything has meat/fish/seafood in it. One lunch I was given was as follows: A ham sandwich, a rice ball with salmon in it and some bread like cream puffs. There was not a single vegetable!! Looking forward to hearing about your Paris trip! When I get back to the States I am going through your recipes to get some nutrients back in my body! First thing: I am trying a green monster once and for all!! I have a wheat allergy which made our trip to Japan ‘interesting’ but not impossible. I just learned some key phrases, and also wrote them on a piece of paper, which I could pass on to the waiter. Visiting my family in France every summer, I’ve definitely had my share of yummy vegan food, but they’re in the South were it’s easier to come by. However, I’m doing exactly what you’re doing in Greece right now (not being as hard-core about being raw) and it’s been going awesome! Have a great trip! This issues is pretty much why I “keep a vegan kitchen”, but when I travel or go out, I’m okay with consuming a small bit of dairy (but no meat – like you said, vegetarian is pretty easy to maintain anywhere). Most restaurants even cook veggies in butter, and I find that I feel worse about myself if I pull a high maintenance “I want this without x, y, z, and can we double check that there’s no trace of dairy in it?” than if I indulge in a few bites of feta or an egg baked into a brownie. I definitely won’t eat meat but I’m not as strict with dairy. I am allergic to some extend for sure but now as a pregnant woman having added dairy and eggs into my diet I definitely feel you on enjoying what you’re presented with!! So exciting that you are going to Paris! Have you checked veganbackpacker.com ? They might know of some good vegan sites in Paris. I totally understand your plan for Pairs, and I just have to throw in my own two cents to those who seem to find you hypocritical. Bottom line: everyone is their own person and has to do what is right for them, regardless of any “labels”. As long as Angela is living for herself in every moment, she’s not being a hypocrite. And I have to say – as someone who has a severe, deathly tree nut allergy, it does take a bit away from the experience to always be concerned about what’s in a dish. When I was in Italy, I couldn’t fully enjoy any dining experience because I always had to be guarded about analyzing everything and double-checking my pocket dictionary to verify what I was about to eat wasn’t going to kill me. While it’s ok to be cautionary of some things (like I tried to be of a lot of meat in Italy), sometimes it’s nice to just live in the moment and enjoy the culture/ experience. Good for you for going with no expectations and embarrassing the culture and traditions. I don’t have any sensitivities (not that I know of, anyway) or allergies, so I am willing to bend on vacations or special occasions. I try to remember, though, that I eat the way I do for a reason, and I don’t want to bend my “rules” and then end up paying for it later when I feel like crap. It took me a lot of years to learn what makes me feel good, and I want to feel my best on vacation! I guess it’s all a balancing act. I like to think of eating as an opportunity to do something wonderful for yourself several times every day (what else gives you the chance to do that?) so if that means treating yourself to a chocolate croissant at one occasion, it might mean scaling it back to a simple veggie salad at the next to ensure you’ll feel your best. I think your attitude toward your trip seems very healthy! In April I went overseas to France and Spain with my boyfriend. I was nervous of what I would eat because I am gluten-free, as well as have to watch my dairy intake. It can make hard traveling food allergies. I blogged about my trip here, http://www.pure2raw.com/travel/, if you are interested. I too went overseas without a real plan just was mindful of what I was eating, but still tried to enjoy myself!!! Given my sugar intolerance, I’m at risk of going hungry just about every time I step out of my house! I have yet to go on a real “vacation” (ie. not to a family household) since I learned about this intolerance, but it’s a process! I wish I could be flexible, but flexibility ends up making me sick. I am fully supportive of and impressed by your easy-going flexibility! It will make your time in the beautiful and magical city of Paris that much more enjoyable. I am gluten free, but thankfully many of my symptoms are superficial and I can live with any internal discomfort for a short period of time. I don’t go completly wild and eat every delicious gluten filled treat I find, but I do find treats that are not readly available in my area and enjoy those to the fullest. I will plan my meals out prior to ensure that the only gluten I eat is something that is new to me and generally only during one meal a day. I think that if I were to leave an area without trying the region’s specialty and I had really wanted to try it I would be dissapointed I hadn’t tried. This happened when I was in Italy, I rarely eat red meat, but everyone had been talking about the veal so I tried it. I hated it, I took two bites thinking the first was a fluke. Now I know I am not a veal lover and when someone talks about it I know what exactly it is. I am totally on the side of enjoying vacation and the foods you find, because when you come home you are then able to share the full experience and often funny stories that go along with trying new foods in new countries and the reactions of you and the locals. Oy now I really want to go back to Europe! In May I traveled for a few weeks in Italy, France and Spain. I carried a 3×5 inch index card that said “I am vegan, I cannot eat fish, dairy, meat or eggs,” in all three languages. Servers would kind of scratch there head and then suggest something in a mix bettern Italian/French/Spanish and english. Then they would bring me out wonderful dishes. Every time I was surprised but I never had a bad meal. 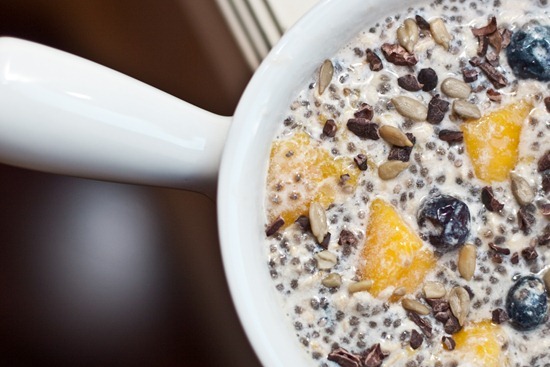 Those oats look so good, I love chia seeds so I am going to try mine that way. Good for you for going to Paris and going about your eating in a relaxed way. With all the walking you will do I am sure you will stay healthy! I love your attitude towards this :) By obsessing over where you can find something vegan and shunning all of the food that is part of French culture would just be taking the joy out of your trip, and it should be a time you’re able to enjoy and relax during. I hope you have a fantastic trip and have the chance to enjoy lots of delicious French food! Luckily Melbourne is very vegetarian friendly (or Vego as they call it!) But I had no idea or plans of what to expect when I got here either! I like your attitude of taking things as they come. It is the best way to experience the culture. It’s hard when a food preference gets in the way of anything when you are so far from home or out of your comfort zone. So exciting about your French adventure! Can’t wait to see all the good eats and coffee!!! I recently discovered I have IBS and its a very hard disorder to live with. Everyday is different and for me, I can’t mix lots of starches like oats with fats. I love oatmeal, but do better when I’m away from cooked grains. Many sprouted foods give my problems too. Oh how I miss my flax crackers and VOO, but my squash mashed potatoes seem to work miracles for my IBS along with the daily Nutri-Shakes! You have an AMAZING outlook. I was supposed to spend the summer in Europe for work, but am not anymore. :( I was worried about it, but I think I would’ve gone with the same approach. Life is too short to freak out!! I have a feeling that any dairy you may consume over there comes from MUCH greater and humane sources than here in North America. 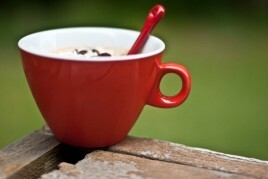 Just wanted to say that I have tried your overnight oats and they are fab!! Thanks for sharing such great recipes!! Also I posted this as a link on my blog!! You are an inspiration to many. Keep up the great work!! Angela, I made the Blueberry Mango VOO last night and ate them for breakfast this morning with an iced coffee. I am SO full, but they were SO delicious! I never would have thought to put mango in oats before. Thanks so much for posting this! And I am so happy for you about Paris. It is my dream to go there! As a world traveling life-long vegetarian I have had hundreds of challenges finding food on the road. Eating while traveling in foreign lands used to stress me out and cause anxiety but I have learned to relax and remember that it is o.k to be a little bit hungry once in a while, especially when there are people literally starving on the streets next to me. No matter where I am in the world I will never know hunger like a great number of people face every day. Occasionally “going hungery” has only helped foster in me an attitude of gratitude for the abundant resources available to me and compassion for those who regularly lack enough food. My boyfriend and I are vegan and usually find plenty of vegan options when travelling. We did have a bit of a tough time in one town in Nova Scotia last year, but we dealt with it by buying vegetables and hummus and various other vegan foods at a grocery store. We are vegan for ethical reasons and would not consider eating non vegan, even when out of the country. I’m sure that there will be plenty of vegan options in Paris for you to enjoy. As a vegetarian, the hardest time I’ve ever had finding food was when I was up north in Iqaluit for a week (for work). There aren’t a lot of restaurants there to start with, and they’re either meat potato, or showcasing the local cuisine (lots of Arctic char, that sort of thing). But even there I was able to feed myself – it just wasn’t the most varied diet! Don’t worry too much about food in France. I know they will at least do vegetarian. Last time I was there, all I had to do was tell the server I was une vegetarianne and they were happy to create a delicious dish for me. Have a great time! I’m not vegan right now, but vegetarian. I have no problems eating out anywhere typically, but struggled with it traveling for work last fall. I hadn’t been veg for too long, and was getting some weird backlash when I brought it up. I decided the easiest solution for me was to not draw much attention to it with colleagues. They all knew, but I didn’t want to jump in and suggest restaurants, etc. I clearly made it through fine, but most nights were unhealthy cream-sauced pastas, and one, at a super swanky steakhouse, consisted entirely of tomatoes (calling themselves a caprese salad). Agreed – mango in oats is amazing! I’m not vegan but VOO is like the vegan version of birscher muesli? I know this is an older post but I am responding to your question at the end about special diets while traveling. I have been to England many times in the past as my husband is British but my recent trip was the first time since discovering my food allergies to gluten and dairy. I was very stressed about this one in particular because I would not be staying with family and able to cook my own meals. I was hiking 200 miles with a friend and relying on the understanding of B&B hosts and restaurant chefs to feed me without making me sick. We succeeded because we did legwork ahead of time – some towns were quite small with limited options. We pre-booked B&Bs and restaurants that “got it” (based on emails and conversations) and with the exception of one B&B and one restaurant, I was pleasantly surprised by the care and attention taken to provide me with tasty and safe meals. I also found that the UK regulations on food labeling is better than here and the major grocery stores list their vegetarian/vegan wines. I can only hope the US will follow suit one of these days. Discussing my restrictions with restaurant owners and chefs prior to my visit made the situation much more comfortable for all involved and I was able to enjoy eating out with much less stress than I usually can at home. And small care packages mailed to strategic locations ensured I would have the allergen free snacks needed to keep me going on the trail.